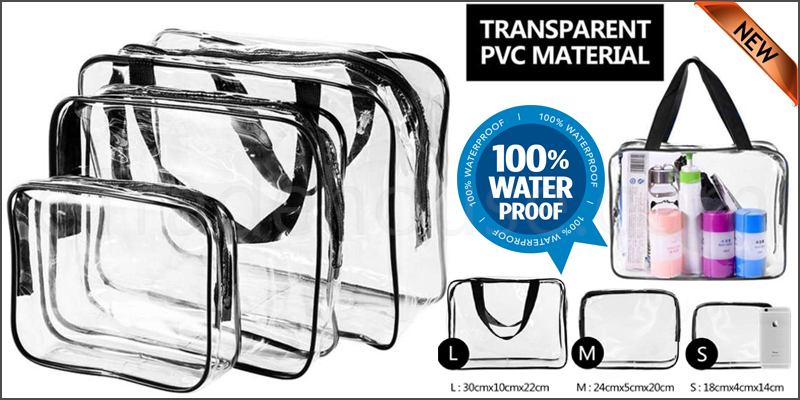 • 3 piece PVC travel bag set, ideal for makeup, toiletries, handbag tidy and much more. • Made from a strong clear PVC which is waterproof and easy to clean. • Small bag with zip: 180mm (L)*40mm (W)*140mm (H).